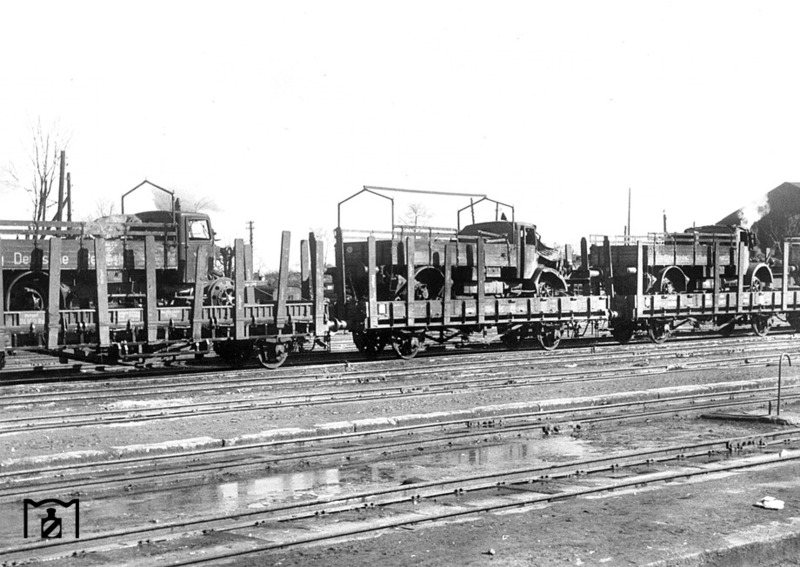 I know the type ommr railcar could carry 25 tons, i was wondering if there was any photographs of type ommr railcars carrying two panzer I’s or II’s. I’ve seen a few photos of ssym 60s carrying two tanks on them but was wondering if type ommr railcars could accomplish this as well? Did a quick search, but I think Ommr and Ommu have limited space for that. When I find more, I will post them.
" 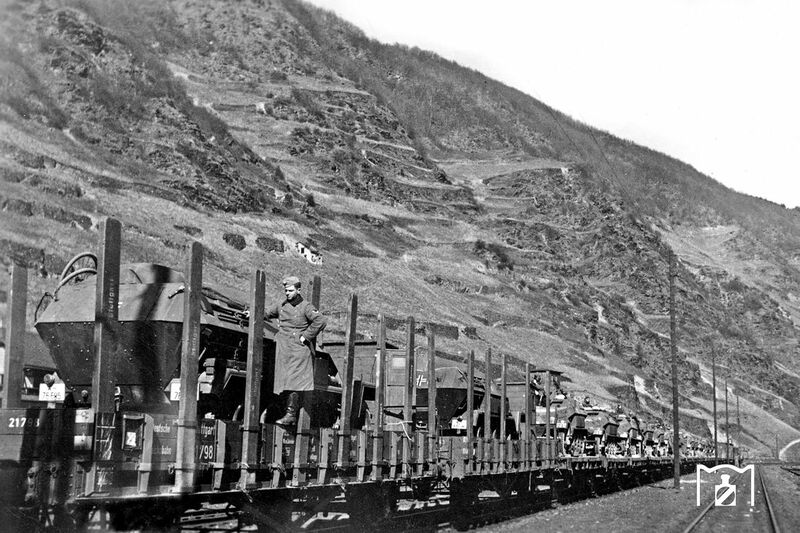 in 1937/38 the Omm wagon was designed from scratch with a maximum load of 24.5 tons and a loading length of 8.72 metres (28.6 ft) (as opposed to 7.72 m or 25.3 ft on Om wagons). Construction began in 1939." A little more than two feet of space, one foot of spce between the two tanks (very narrow bout could work) and half a foot at each end. At the ends there is space outside the load are (over the buffers) so handling those tie-downs would be uncomplicated. I wanted to depict a kleiner 265 and a Panzer II on the same railcar but may possible have to change it up a little. I know the 50 ton railcars have plenty of pictures carrying two light tanks on them. Was just trying to find photo evidence of this occurring on the ommr railcars too. I have a picture somewhere of them doing this with sdkfz 222 and i believe motorcycles. Thanks for the picture ! Two x ommr, 1 x 265, 1 x Pz II and some motorcycles. If the 265 is the command tank of the unit then two singles and one with a sidecar could represent the despatch riders. A Kübelwagen is 3.74 metres so it could fit together with the 265 giving 3 feet to spare. The motorcycles will also fit sideways to give some variation even if there would be plenty of space with the Pz. II. The ommr is 10.1 meters long measured over the buffers which results in 28.8 cm in 1/35th, almost 11.4 inches. Trying to decide what vehicles i want to do with the kleiner if any. 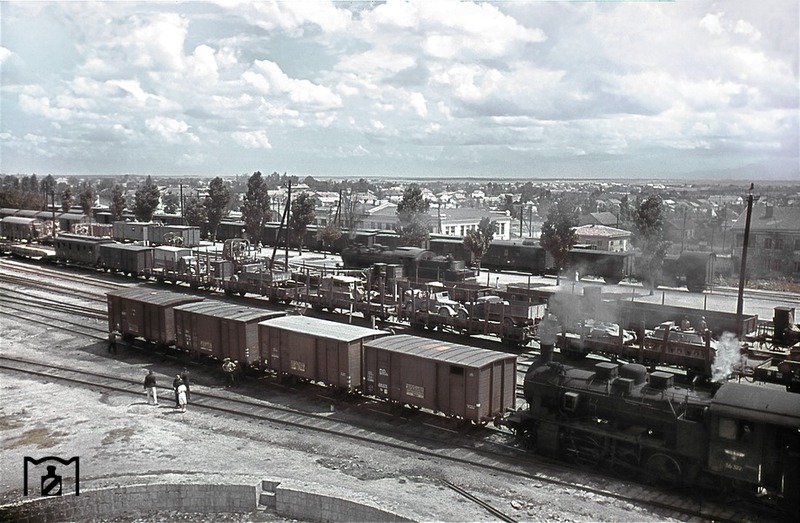 This is going to be apart of a railyard diorama of equipment being unloaded in preparation of Barbarossa. Hi Greg. Found these picture, first one I think is colorized, anyhow. you can see a lot possibilities to load your wagons. 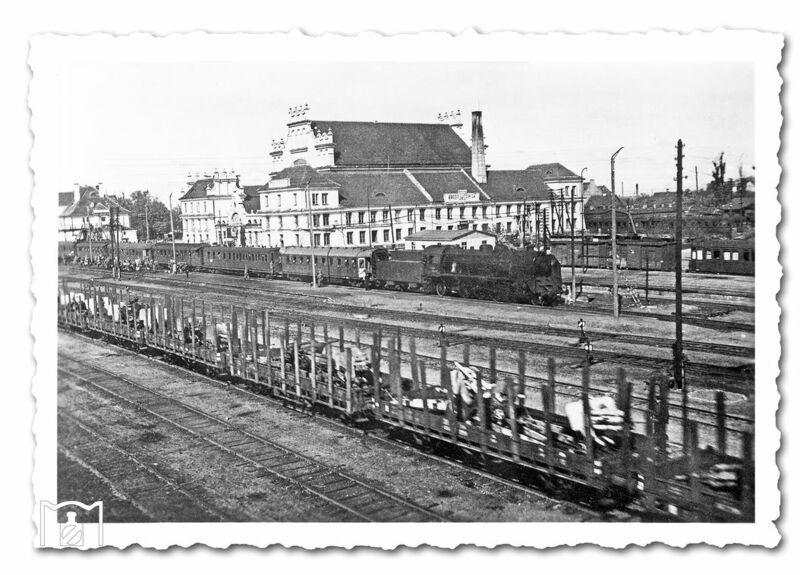 All pictures come from eisenbahnstifting.de and are for reference and discussion purposes only. Look up this link, very useful. Thanks for the pictures. The colorized version looks like one of the railcars has a captured French apc on it and what looks like another almost cruiser like tank. Looking the landscape and architecture, picture is taken in Italy. One of the most beautiful pictures I encountered over the last years I think. What an atmosphere and space.